Aerial photography is undoubtedly the most well known and common application for multi rotor aircraft. There is barely a show on TV or movie made today that does not involve some shots from cameras mounted on aerial platforms. The flexibility of camera positions and moves they allow, and the ability to manage seemingly impossible continuous shots, make the multi rotor standard kit in any TV or movie production. Cameras are constantly getting smaller and the specification higher, but one thing that is not changing is the need to use the highest quality lenses, and with a good piece of glass comes a high weight and a high value. Our aerial photography platforms are well proven and offer the most reliable and solid base for your gimbal and camera. When the cost of the camera kit is so high, reliability is key and, if you are on set with a crew standing around waiting for you, it is vital to be able to get in the air quickly, get the shot and get back down on the ground in one piece as quickly and safely as is reasonably possible. We have many aerial photography customers all over the world. If you like to see some of their show reels, please CLICK HERE and have a look at what a Vulcan can do! Multispectral and hyperspectral imaging of crops and other vegetation is used in the identification of crop stress such as shortage or abundance of nutrients or water. Pests, disease, infections, spores and other plant stressors also leave their spectral mark on a plant, and can be identified easily from the air. This offers a great aid to farmers to identify and correct problems in their crops before too much damage is done, and also to optimise fertilisation patterns so maximising production while minimising the use of chemicals. This is highly effective over all types of crops, and over both large and small areas. Once the state of the crops has been determined then precision spraying may well be required. This ensures that only those areas that really need spraying are actually sprayed reducing time, chemical use and costs. Precision spraying can be undertaken by tractor if the areas are large and the precision required low, but with higher value lower area crops such as fruit trees, vines, cane crops etc the hyperspectral data can easily be used to create a very high precision spray pattern. Load this into the your crop spraying UAV and off you go. A UAV can spray areas to an accuracy of a few centimetres with very precise quantities, and the down wash from the props blasts the chemical deep down into the plants giving truly excellent coverage of the entire plant, with the absolute minimum of wastage or cross spraying. 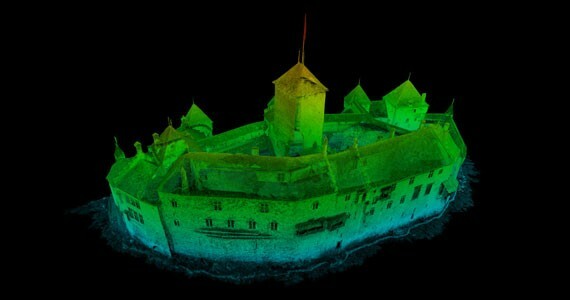 UAV Lidar 3D mapping uses lasers to measure accurately the range from the sensor to points on an object or on the ground. Using multiple lasers at high speed allows a huge amount of data to be collected very quickly. Then using information from a highly accurate IMU to measure the attitude of the aircraft when each piece of data is collected, as well as an RTK GPS system, an extremely detailed 3D map can be created of any object or area. Post process correlation of IMU and GPS data, can then geo reference this data to an accuracy of a few millimetres. This truely disruptive technology will see fundamental changes in the way much of surveying is done in the very near future. Vulcan UAV are the preferred supplier of UAVs for the new LidarPod from RouteScene. We have been working closely with them since December 2013 to develop a system optimised for Lidar 3D mapping using their ground breaking technology. At a mere 2.5 Kgs, the LidarPod is by far the smallest and most compact fully integrated Lidar scanner for use on UAVs, vehicles and any other mobile platform. The LidarPod includes the Velodyne HDL32 lidar scanner which uses 32 lasers and collects over 700,000 distance measurements per second. This is then integrated with a highly accurate comprehensive INS solution, an RTK GPS system (which uses additional GPS antennas on the UAV for ultra accurate heading reference), on board data storage, and a two way data link for RTK GPS updates and data verification. The system also comes with RouteScene’s own data viewer and filtration software. When a person goes missing time is of the essence. Ground searches are all very well, but are slow to organise, very manpower intensive, and it is very easy to miss the person you are looking for, especially if it is dark, or they are in a hard to reach place. 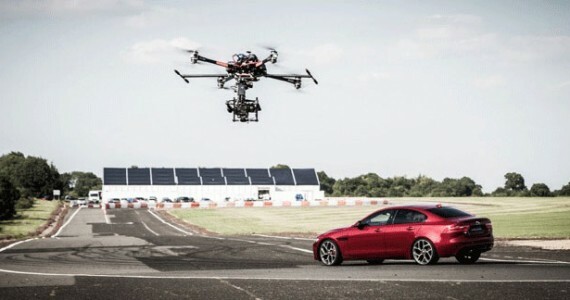 Multi rotor UAVs can be on the scene fast, and are very quick to deploy. The UAV can take off from just about any location and immediately gives an overview to the terrain and a long distance view. A suiytable thermal camera can person spot at 2 Km or more, and a good daylight camera can zoom many times to get a good close up of the area and the situation facing the victim. It can even approach as a guide for those on the ground, or drop survival equipment if the person is hard to reach and may be there for some time. If the UAV fails to spot the person being sought, simply land, move locations and try again. Huge areas can be covered effectively in a very short time, and at a significantly reduced cost than traditonal searches. In a maritime environment time is even more of a factor. Cold and risk of drowning create greater urgency, and if there are any waves the view from a rescue boat can be as short as a few metres. 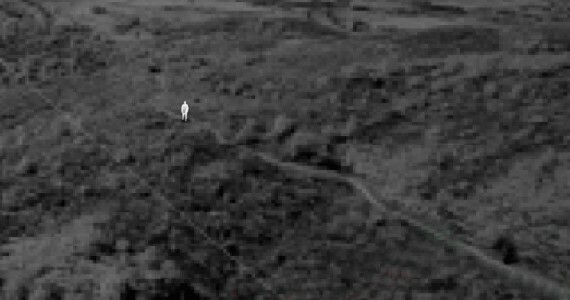 Height is the key to a successful search, and the UAV can offer this, as well as the necessary sensors to detect the person even at a long distance. Our SAR UAVs are capable of flying in some of the worst of weather, with payloads specifically aimed at this need, and with flight times appropriate to the task. Please CONTACT US for more information. 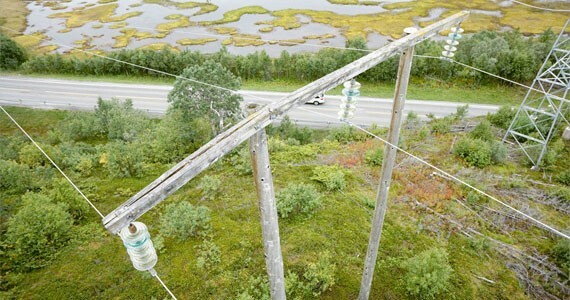 Structural inspection is one of the main growth areas for the use of UAVs. The benfits are clear. If you can get an aircraft with camera up to get a close look at a structure, you can get a good idea of the condition quickly and cheaply. The costs of getting a person in place to undertake a close visual inpsection are extremely high, and can be almost entirely avoided with the use of a UAV. There should be no need to send a person up to inpect or make repairs unless absolutely necessary and whether that is necessary can be discovered very quickly with the use of an aircraft. The reduction in risk of injury is also a huge benefit. Much inpsection is currently done via scaffolding or rope access, and the use of both can be highly risky. If you add in the potential danger from the infrastructure being inpsected (like power lines for example), then the use of a remote unmanned platform makes total sense. When it comes to inspection UAVs are low cost, low risk, with a fast turnaround of information. Sensors are normally daylight and thermal cameras. An HD daylight camera with a good level of zoom can spot early signs of trouble as well as a person can, whether it be on a roof, building, bridge, wind turbine, solar farm, oil refinery or any number of other structures. A thermal camera not only detects patterns of heat loss from a building, but hot spots in power distribution systems, machinery, solar panels etc – all clear signs of a potential problem and spotted quickly and easily from the air. Gas, hazmat, radiation and a range of other sensors can also be carried and used in a huge range of tasks, almost all of which carry risk to those undertaking inspections by traditional methods.